Now 9% lighter, the 229 Edge is redesigned to provide an advantage. Double reinforced uppers with Trifusion and Foss provides medium support for advancing moves and jumps. 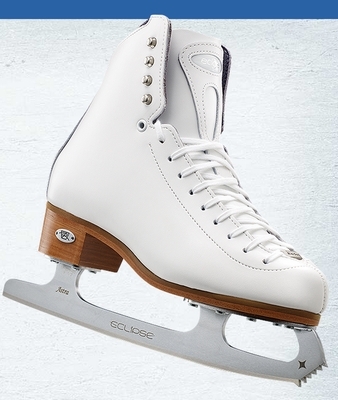 Polyurethane coated leather uppers, leather sole, Dri-Lex� lining offer durable comfort. Traditional hand-rolled collar with flex notch eyelet for unmatched comfort, stability and performance. Nickel stud hooks.